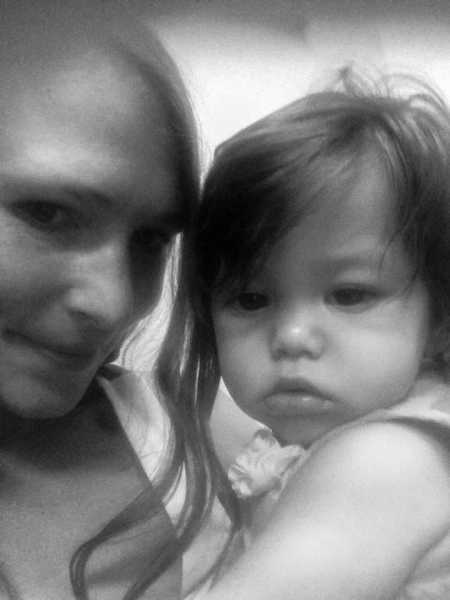 My sweet little 8-month-old had a fever most of the week, so for most of the week my heart felt weighed down with a 500 pound barbell as I looked at her sad, droopy, big eyes that are usually playful and bright, and snuggled her listless body into my arms, which is usually crawling all over the house nonstop. When my babies get sick, my heart breaks in two, and I just want to snuggle their sick selves in my arms all day and squeeze out their sickness with my hugs. I still feel sad when my older kids are sick, but it’s not quite the same since they are often more whiny and needy when they have a cold, instead of pitiful and snuggly like a baby. Know what I mean?? Since my sweet baby girl loves eating now, I wanted to make her something to help bring some comfort, and something that she could eat easily with her half-way in teeth. 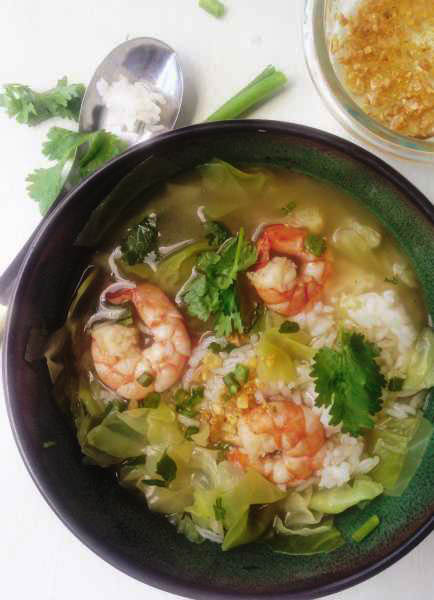 That’s when Thai Rice Soup with Shrimp, Khao Tom Goong, popped in my head! My girl sucked up the broth and rice from her little spoon like a happy baby bird and kept wanting more and more. THEN after she had the Thai Rice Soup, the next day her fever was gone! 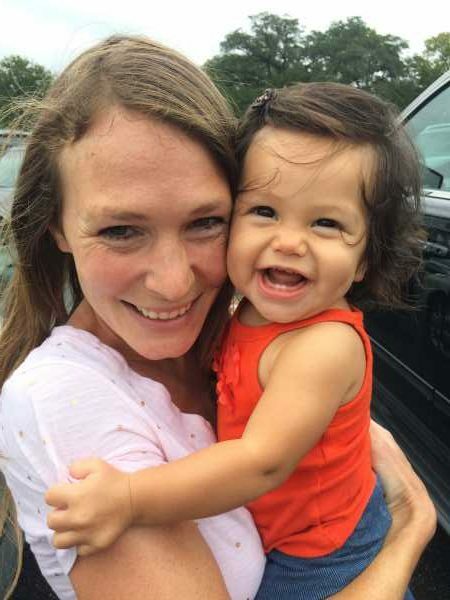 I’m going to say it was the magical healing powers of the cozy Thai soup that did the trick, and not that her teething or whatever it was went away on its own. No coincidence there! As those fall days start to roll around (and for us in Austin that means it was in the 90s this week and not 100s! Yay), this Thai Rice Soup with Shrimp is the perfect remedy to any sickness or cold weather, as shown above from my sad girl to happy girl! And it’s super fast to make too! 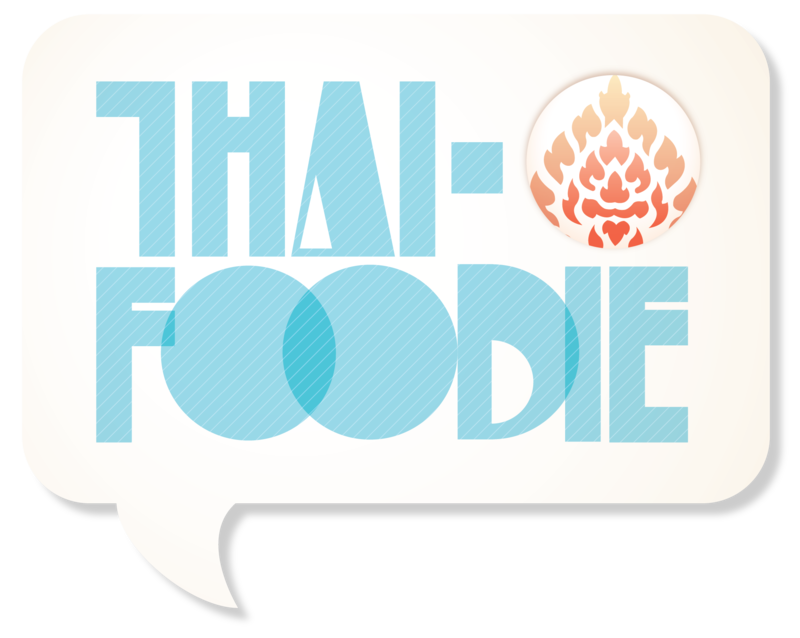 Heart-warming quick, Thai rice soup that even babies and toddlers enjoy? Yes please! 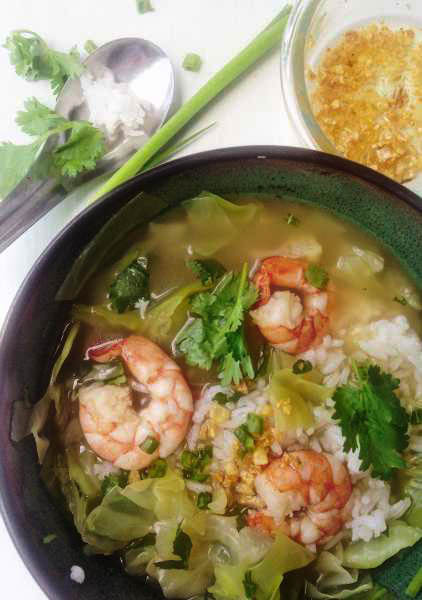 Full of the best homey flavors: chicken broth, jasmine rice, shrimp, cabbage, green onions, cilantro and fried garlic! Turn to medium high, and add the cabbage. Cook until soft, just a few minutes. Add the shrimp, fish sauce, soy sauce and mushroom sauce to the broth. Stir and cook the shrimp for 1-2 minutes, or until they turn bright pink. Divide the warm rice among four bowls. Ladle the soup into the bowls that have rice and sprinkle on the toppings to taste. 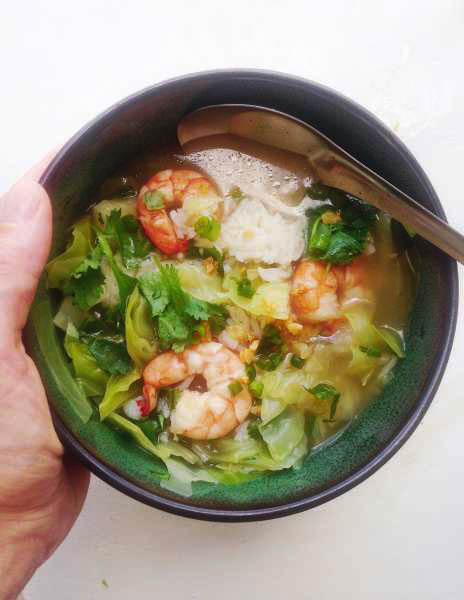 Traditionally Thai Rice Soup isn't served with cabbage, so leave it out if you want, but my Thai Hubby loves it with cabbage, and so do I!